Swap! Not Shop! 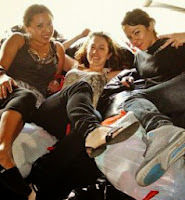 is Homeygrown's Biannual Clothing Exchange in Oakland, CA. 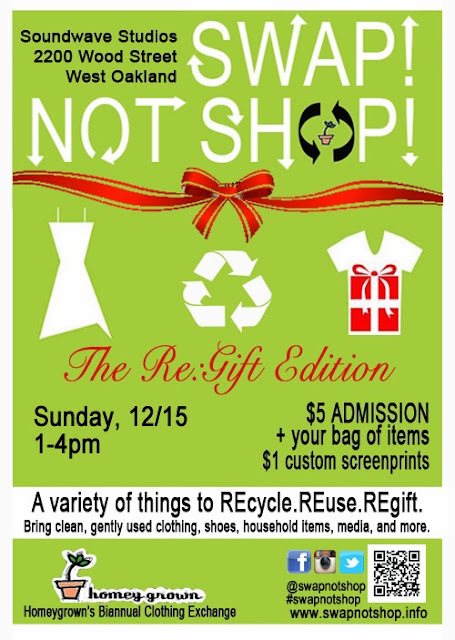 This event counteracts the disposable nature of consumerism by providing the time and place for shopping renegades to recycle clothes and other reusable items. 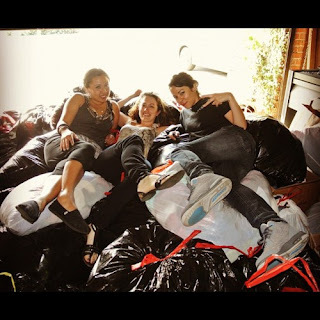 Bring a bag of gently-used, clean items, and dig in other people's trash to find your newest treasure. Rethink that trip to the shop and instead, swap with us! Contact us at homeygrown @ gmail dot com. The Homeygrown Swapettes with the leftovers!